Take on mars fun and games. 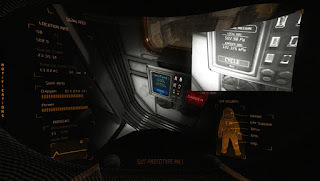 Take on mars airlock troubleshooting. 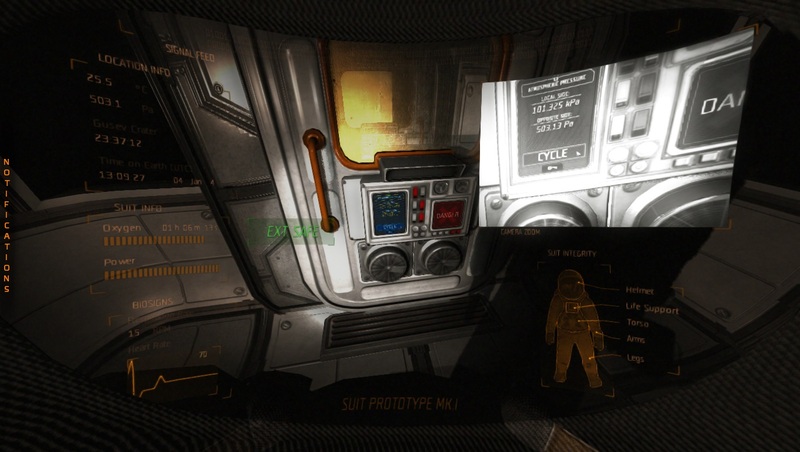 The take on mars is a new beta game on steam. As a mars fan I've had to play it and I'm chasing up a bug or two for the developers. We have all built airlocks that show no leaks and seen identical to the ones in the ready build demos but don't work. Works first time for the dev's but that's game code for you. 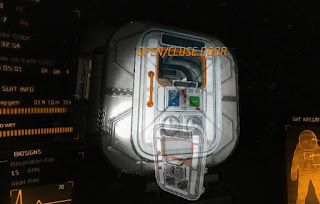 Outside airlock door in an airlock frame. Inside the lock both doors closed. Cycle button should work but does not. The thing on my right is the suit charger and oxygen re supplier I need that to work to stay alive. 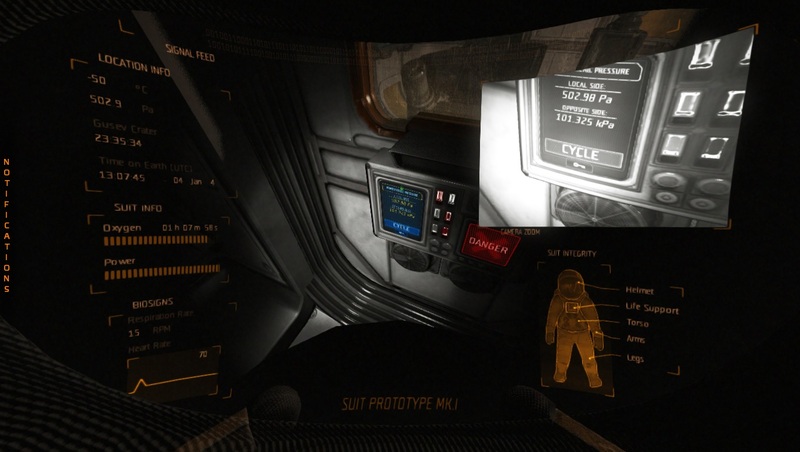 But I need a pressurised airlock to remove the suit. 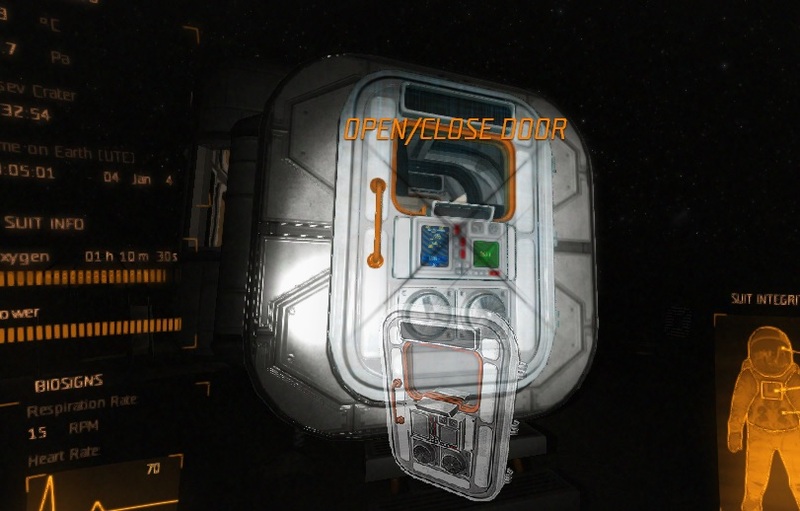 Inside the hab I have air, green icon near the handle shows that but I can't charge the suit. Otherwise its a really good game for an beta. I'm growing virtual potatoes on Mars, yay. Most people may have noticed that greece has gone broke, everybody panicked and then forgot about it. It's really been broke for years all that's happened is that they stopped cooking the books, and ran out of useful idiots willing to fund bailouts. The greek mess has many layers. The whole european plan hinged on the warmer southern states becoming the florida of the EU. The hospitals and other things the Mediterranean states built were for german and dutch retires. They came in droves early on but then something went wrong. They went home! Analysts have been arguing about the causes. Many things have been blamed: Language, poor north south road and rail infrastructure, rumors that greeks make tardy nurses and grumpy servants, rip off merchants, even the fact that you can't get cheap german food in some towns has been raised. All of these problems are insufficient and/or solved but that was after they went home. So greece has a point it's not articulating well at all. Some of that money paid for German nursing homes, tourist resorts and hospitals that just happen to be in greece. A hospital is not particularly portable. The left has not helped. One of the protesters that want's more bailouts from europe but no payments to anyone is an Atheist theology grad. He's backing the no vote loudly outside the parliament in Athens. World wide there are only 4 jobs for atheist theologians and their all taken. He has no hope of ever working. Most of the crowd have equivalent degrees. That's problem no 1. Left wing universities compound the problem by teaching that wages are slavery; capitalism is evil; the free-market means you can, and must, rip people off; and the assumption in public service that bribes are almost OK but commissions for prompt service in the free market is not acceptable. Does that sound familiar? Its on the tea shirts they wear at the protests and riots. While some these things were fixed by the previous government the current left wing party reversed the fix. Syrisa, Coalition of the Radical Left, still brags about the reforms even though it, and the riots, have blocked their effect in most cases. Some costs are seriously intractable. Greece took in tens of thousands greek refugees from Turkey in the early 20th century. The moslems drove out millions over the century (it was not just Armenians). They and their children still get a special refugee pension and free medical care. Most work but the refugee pension is seen as an untouchable constitutional obligation. That's several billion dollars in obligations greece must find annually and can't reform without rewriting the constitution and a lot of history. Not paying the refugees is seen by some as betrayal or treason. These are the older people at the protest rallies. Even if the greek economy reformed fully it would not work. Any business that makes a profit can't use the greek banking system. They are not allowed to send the money to their german or english bank account. Most businesses that are still running are in fact doing that but via concealed transactions. This compounds the country's problem. Most of the trade remaining in the country is now totally untaxable. Today most banks in greece are only handling pension payments, government wage & salaries and the occasionally tourist related transaction. You can't withdraw more than 60 euros making most economic activity impossible and no one is making deposits. The cash machines are often empty because no actual cash is coming into the bank. Stores and shops are buying safes to hold the cash on the premises. Tourist with bags of Euros live like kings; at least until one gets robbed and killed and then they will stop coming. Some tourist islands with their own airport have essentially seceded from athens but not from the EU! They're ignoring all the rules and in one case sent the bureaucrats away on a ferry. The Autotellers work fine there but the bank branches are not sending cash off island. The good news is that the world's banking systems are not on the hook for most of the debt they have shifted it all to government quangos like the ECB and IMF.They can safely go brock and be replaced with a new quang. Trillions of taxpayers money went into creating these entities but that's how it works. Essential there bad banks. If you're trained in Austrian school economics you know they were doomed from the start. Whatever happens it can't cause a global crash. Anyone still investing in greek related stocks, bonds and investments has already written them off. Anyone that has not cleared their greek debts has been written off by the rest and is wondering why no one answers their emails. The whole mess will not be fixed fast; millions need to be reeducated. A new truly free market government needs to be formed and even the right wing parties in greece are not free market parties. There may not be enough people with free market training in parliament to form such a government. However printing money is not printing wealth and to buy food or pay your debts you must generate real wealth. Tourism and farming olives will not suffice. It never did. Greece will need to lower its minimum wage down to a competitive rate; provide very cheap accommodation and food for those on the minimum wage. They must ensure that they are not tardy nurses or grumpy servants. They need to win back the german and dutch retirees with cheap culturally appropriate food, good language skills and wonderful deals. They need to also build factories and make cheap stuff like a proper third world country should. (There is another problem there are a lot of competing third world countries gearing up to fill China's shoes.) Greek pride means they may choose to starve first. Do not expect anything much to happen. Greece and Europe are genuinely so badly bogged in an economic and educational mess of their own making that the system can't crash. It can't move fast enough. If there was a nobel prize for procrastination it would have been won 50 times already this year.